Isn’t is thought-provoking how that t-shirt you were so tempted to buy now seems to be popping up everywhere you go online? Retargeting and remarketing offer a huge opportunity to increase conversions and reach out to consumers that don’t buy your products or services when initially visiting your website. When you’re retargeting you’re effectively following your website visitors after they leave your website. When someone lands on your website a browser cookie is embedded in their browser, which will follow this potential-customer as they continue browsing the web. This wonderful little nugget of data means you can implement retargeting and show ads to these consumers that have visited your website and not initially converted. Consumer surfs the web for the product or service they want and lands on your website. 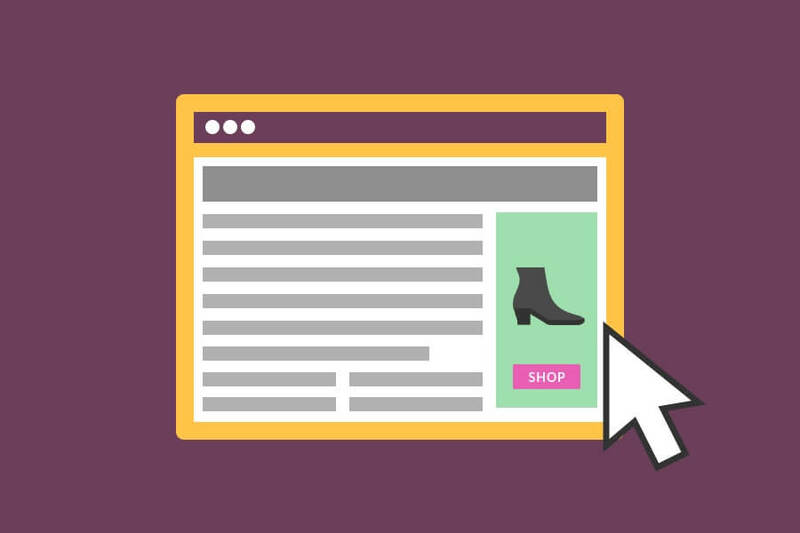 This consumer may see something they like and even add your product or service to their cart, but they leave your website before purchasing at this point. Off they go searching the web and even your competitors. WAIT – there’s an ad with the shoes they were thinking of buying from you. They are seriously cool shoes… click… and they’re back, familiar with your website, and ready / convinced to buy. So, what’s the difference between retargeting and remarketing? Retargeting and remarketing are effectively the same thing – more than anything else it’s simply a difference in terminology. Both terms want to achieve the same in connecting with visitors to your website that don’t initially convert. Both terms follow consumer behaviours and target ads at these consumers based on previously implied interest in your products or services. Why should you be chasing visitors with retargeting? Whatever your business goals are right now, retargeting is invaluable. Retargeting encourages consumers that have previously shown an interest in your products or services to commit to a purchase and reminds them of the interest they had. You’re getting a second chance with a bigger opportunity to make a sale. You’re also promoting your brand. Consumer decisions are led by emotion. If they recognise your brand for the simple and positive experience your website gave them, then they will feel positive at the sight of your ad. You’re trust building whilst showing them what you know they want to see. Increase brand awareness. Increase conversions. How beneficial is retargeting for your business, really? Retargeting gives you the opportunity to target advertising at consumers that are more likely to convert. You can get down to the detail, for example, Adwords enables you to target a specific list of people that have added a product or service to their cart and not made a purchase. Retargeting means you can reach massive audiences that are super-relevant across devices. Your business will be in the right place at the right time. Target consumers that have previously shown an interest after they have left your website. So, what methods of retargeting are there? With retargeting comes the opportunity to gently remind Sarah that you was really considering buying that DVD. 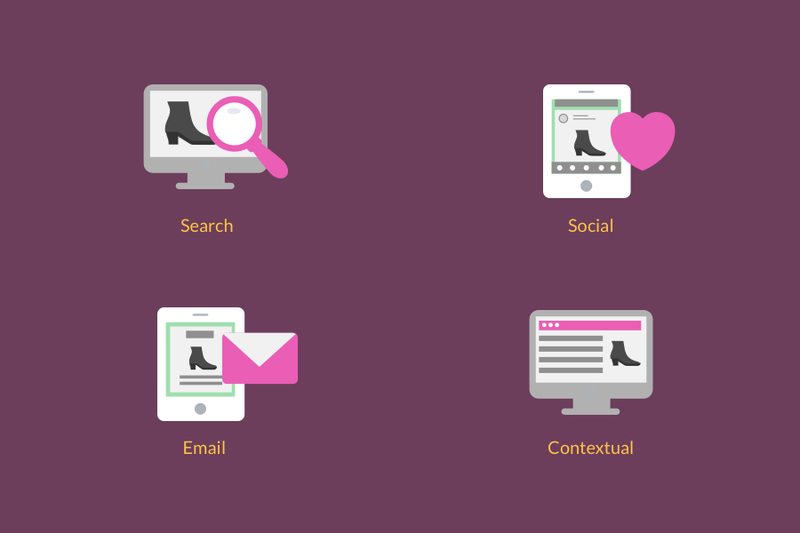 Search retargeting is based on the behaviours of your consumers. You’re directing your ads at people that have shown an interest in the products or services you have to offer. Whether pixel-based or list based, social retargeting can target consumers in a timely manner. Retargeting via social media gives you the option to target based on behaviour, visits to your website, or via lists that you upload specifying who you want to target. Your business can place ads on other websites that are relevant, and display your products or services to potential customers. When they show an interest in your products or services, your ads can follow them as they browse. There are plenty of things you should and shouldn’t do with retargeting. The important thing to know is that retargeting can be incredibly beneficial to your business when done right. Don’t push retargeting efforts onto customers that have already purchased the product or service you’re promoting. Don’t waste your advertising spend hitting the same consumers for a long period of time with the same ad. If they’re going to be convinced to convert, they will do so after just a couple of reminders. Otherwise, it’s not going to happen and they’ll simply associate your brand with negative feelings. Don’t simply retarget everyone. Segmentation isn’t time consuming with the platforms available to you, but it makes a massive difference in establishing consumers that will REALLY convert when presented with certain products, information, or persuasive methods. Page views, products or services added to basket, time spent on site – it’s all powerful information for your business in identifying the consumers that will actually convert. Don’t give in at the first hurdle. Retargeting is not necessarily going to perform the same from one day to the next. There will be good days and bad days; as with any advertising attempt. It’s a long game, but absolutely worthwhile and the last thing you should do is make rash changes. Let the strategy run. Do segment your customers and tailor your ads to suit more specific audiences. Do be smart. Incorporate a straightforward call-to-action that directs your consumers exactly where they want to go, whether that’s directly to the product they were interested in, or a relevant landing page. Do make the most of ALMOST purchased. Target consumers that almost converted and abandoned their carts before checkout. You’re simply reminding them that they were interested enough to add your product or service to their basket. Do create a sense of urgency. 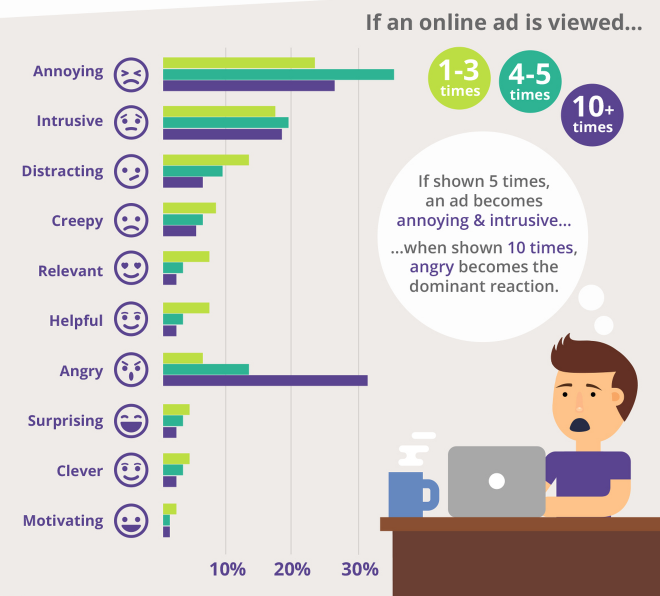 Statistics incorporated into retargeted ads make viewers think. If you make it clear you only have 4 of that DVD left, or your low price offer ends in just 12 hours, it creates that sense of urgency and makes the consumer aware that they need to make their purchasing decision now. Do diversify. Mix things up a bit. If the same consumer sees the same ad following them around for weeks on end, they’re going to get bored and those negative emotions start to arise. Change the presentation of your ads, keep everything as fresh as you can, and incorporate new offers to recapture the attention of the consumer. Do use dynamic search ads / dynamic product ads to target customers across different devices, browsers and social channels. These are specifically designed for online retailers. Retargeting is right for every business; big or small. If you have products or services that online consumers want to buy, then make sure they know it, and make sure they know your business has the answer to their needs. From social to Adwords, retargeting is made crazily straightforward given the complexity behind it and it gives you a massive opportunity to increase conversions, conversion rates, and ensure happy customers. The GDPR is EU legislation published in the EU Official Journal (May 2016) and is coming into play from 25th May 2018. This changes the way personal data can be used and kept, and gives more power to the consumer. If you collect personal data of EU residents, you will need to comply fully the GDPR regulations, even after Brexit. Similarly, a new Data Protection Bill was published in the UK in 2017 and is currently in Parliamentary process to become law. This Bill incorporates many of the same requirements as the GDPR, so the requirement for compliance to is imminent and necessary. This means it’s likely retargeting will be impacted, but it’s impossible to foresee the extent of this at the present time. Regardless, retargeting will still be effective and a necessity to increase conversion rates, and conversions overall.